2 car garage with loft. House is being gone from top to bottom. Lots of improvements underway. Not yet priced. Will wait until rehab work is completed. House has some freeze damage to radiators and a few facuets and things that we can see to start with. It has been winterized. Open porches up and down. Needs lots of work. Its a diamond on the rough. Newer kitchen needs some work. Great family room with sliding glass door and fireplace, overlooks backyard and pool. Inground pool. No information on the condition, sold as is. 3 car garage with separate office. Pending home sales edged up in December, 0.5 percent in the National Association of REALTORS® (NAR) Pending Home Sales Index (PHSI). The PHSI posted 110.1 in December, up from 109.6 in November. The Index is based on contract signings. 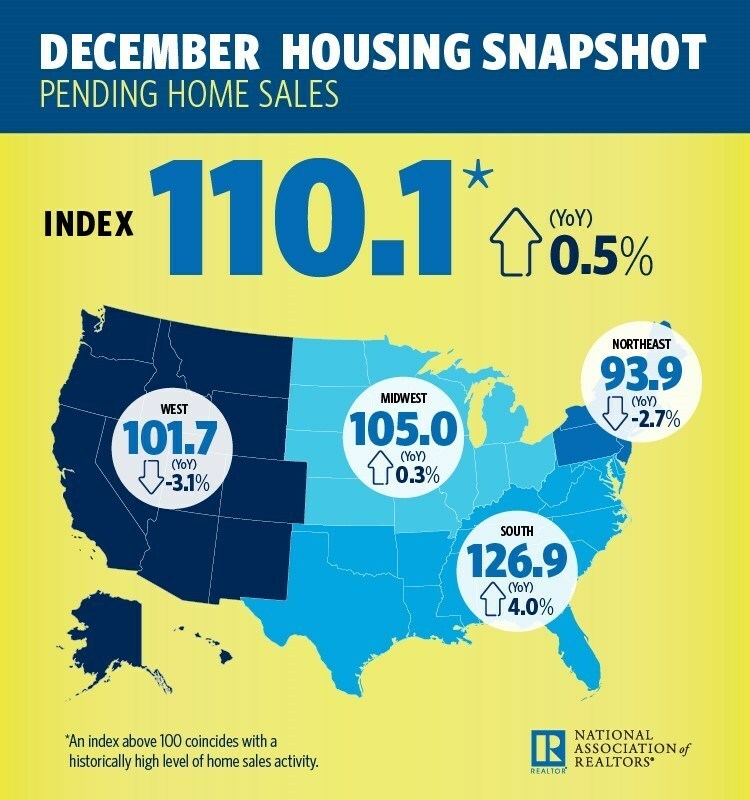 Two of the four major regions in the U.S. saw increases in the PHSI in December, with the South up 2.6 percent to 126.9 and the West up 1.5 percent to 101.7. The Northeast and Midwest saw decreases, down 5.1 percent to 93.9 and 0.3 percent to 105.0, respectively. Yun cautions, however, that these improvements might not raise sales this year. Additionally, sales could be slowed by the Tax Cuts and Jobs Act, according to Yun. Realtor.com® Senior Economist Joseph Kirchner, Ph.D., said the following about today’s Pending Home Sales numbers, which foreshadows a very competitive spring buying season.